The Buick car company is a subsidiary of General Motors, but it wasn’t always that way. 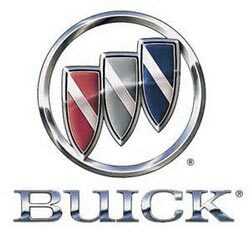 The Buick car company was actually formed in 1903 by a Scottish industrialist by the name of David Dunbar Buick. That makes Buick one of the oldest car brands in the country that is rich in history and tradition. The company has continued to reinvent itself over and over by adding models that appeal to more than the average car buyer that wanted luxury in a reasonably priced vehicle. You will see for yourself when you examine these Buick car brochures. The first car that Buick introduced to the market was a two-cylinder Model B with an overhead valve engine. That’s right the overhead valve engine is not a recent development it started back in 1904. Then in 1907 Buick brought to market the Model D with a four-cylinder engine. However in 1908 General Motors purchased the Buick Motor Company and made some changes. By the year 1914 every new Buick came equipped with a six-cylinder engine and earned a reputation for being the car of professionals as advertised in Buick sales brochures of their day. In the early 1920s a major feature first brought to the United States by the Buick Company was all wheel brakes on mass produced cars. That’s right, this was a pretty big deal and one that Buick on the map. Then in the 1930s started building eight-cylinder cars, which became very popular. Another first that Buick introduced to the automobile was the flashing turn signal. Sorry that we don’t have Buick car brochures and sales pamphlets from those early models, but we are always searching. In the 1940s Buick became a household name with the popularity of the Buick Estate Wagon and well-known Buick Roadmaster. Then in 1948 Buick once again set the bar with the Dynaflow automatic transmission. Buick continued to gain popularity through the 1950s and 60s by continuing to offer innovations unheard of in the auto industry with features like power brakes, power steering and 12-volt electrical systems. These features don’t seem very revolutionary when you examine the Buick car brochures and literature today, but back in the day they were huge. The Buick was not your ordinary car, it was a cut above and they proved that to the industry and the consumer when unveiled the head turning luxury coupe known as the Riviera in the early 1960s and then the Electra 225. Then in the 1970s and 1980s Buick started producing smaller and midsize cars to meeting the demand of the American car buyer for fuel economy. Although Buick still knew how to turn heads when they once again released a luxury sport coupe/convertible Reatta and the Regal muscle car. I have been searching for these Buick brochures for years, but to find one to scan and offer here. Buick continues to reinvent itself as it has done in the past by offering vehicles with features and luxury that car buyer’s want. Most recently has made a name for it by producing SUVs, crossovers and luxury sedans. Check out these Buick car brochures and sales literature found below in the PDF format for reading or downloading.